Who knew mashing avocado on toast was trendy? Certainly not me…I’ve been making avocado toast for years because it’s quick, easy, delicious and nutritious. I was very surprised to learn from a client (who travels a whole lot more than I do) that avocado toast is “a thing” on both coasts and here in the mid-west we’re missing out!! 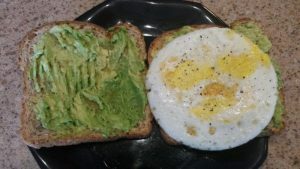 I accidentally invented avocado toast (for myself) years ago because it’s a great substitute for some less desirable condiments such as mayo or butter. Please, don’t worry about how many calories are in an avocado. The health benefits of the avocado far outweigh any concern you may have about the fat content… it’s monounsaturated fat which is “heart healthy” plus a little fat goes a long way toward helping you feel full longer so you will actually consume less calories throughout the day. What’s so great about avocado? They are high in monounsaturated oleic acid, a “heart healthy” fatty acid that is believed to be one of the main reasons for the health benefits of olive oil. They are rich in vitamins and minerals, such as B-vitamins, vitamin K, potassium, copper, vitamin E and vitamin C.
One of our clients suggested that we try this super simple savory snack. 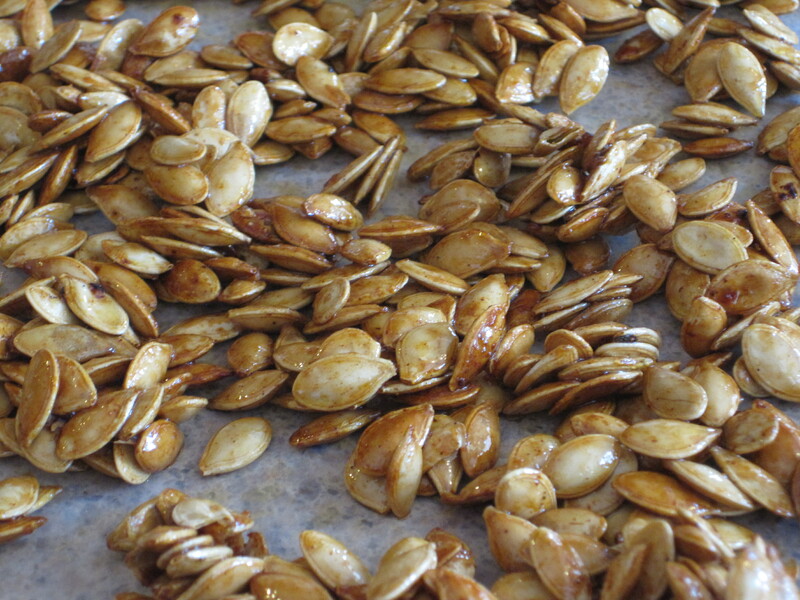 Low in fat and high in fiber these are a nicely satisfying snack that ranks high in the nutrition world. Each 1/4 cup of crunchy goodness has 120 calories comprised of 2g fat, 6g protein, 20g carbs (including 6g of fiber: that’s a whopping 24% of the recommended daily allowance of fiber). 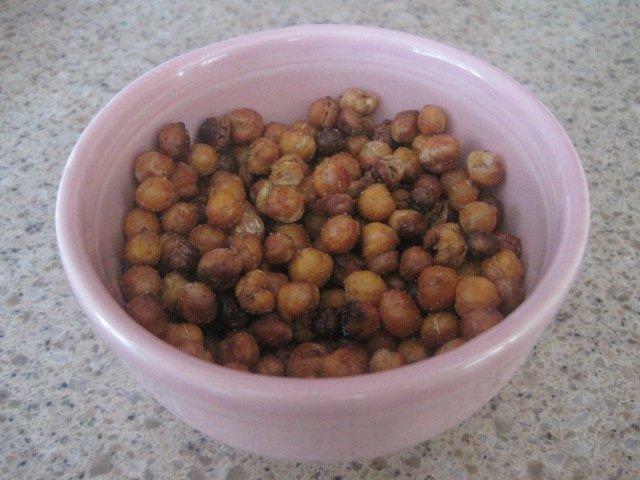 Omit the salt and use chickpeas made from dry if you are concerned about your sodium intake. 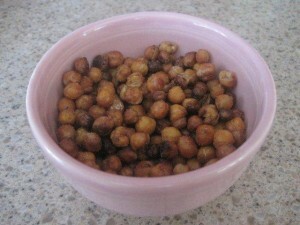 Method: Drain and rinse chickpeas, then pour onto a dish towel and pat dry. 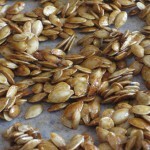 Place into a largish bowl and sprinkle with spice mixture, then stir well. 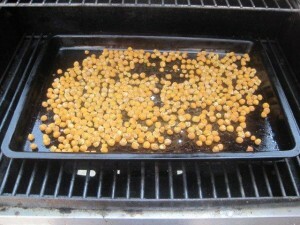 Pour chickpeas onto a non-stick jellyroll pan (cookie sheet with low sides) and pop in the oven at 400 degrees for 40 minutes. Bake until mostly crunchy and allow to cool. Use popcorn salt to adjust saltiness if needed. Although not required by most recipes I reviewed, I would suggest refrigerating them if you aren’t going to eat them within a few days. 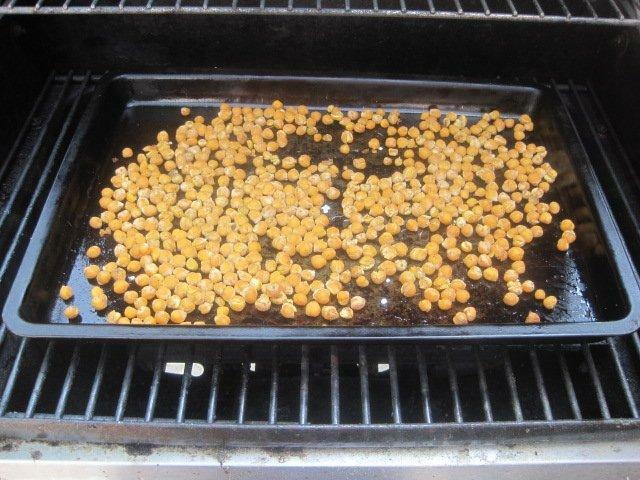 A grill is your summer oven! 1/2 teaspoon of: cumin & 1/4 teaspoon of cayenne. Note: Do not use spice mixtures containing sugar as it will burn.